Psoriatic arthritis is an arthritis that causes joint pain, swelling, and stiffness in people with psoriasis. Psoriatic arthritis affects both, men and women equally. 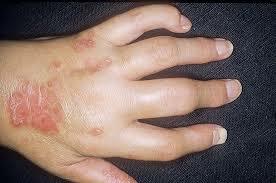 Sometimes, psoriatic arthritis starts before the appearance of the skin disease. The cause of psoriatic arthritis is still unknown in full. Genetics, abnormalities in the work of the immune system or possibly environmental triggers play role. 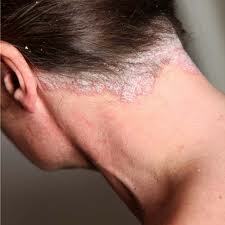 Psoriasis frequently appears at sites where there is skin trauma (so called, Koebner phenomenon). Some patients develop arthritis in an injured joint. 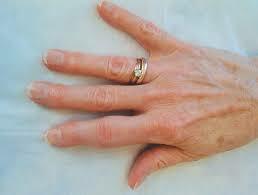 Distal arthritis — affects the small end joints of the fingers and toes. 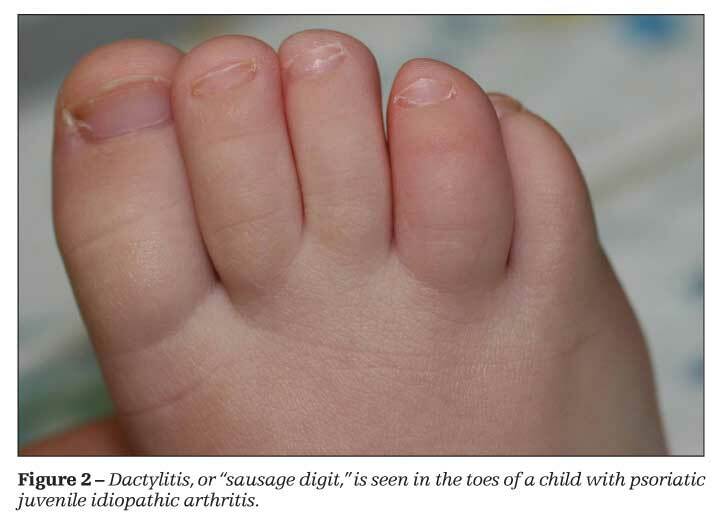 Asymmetric oligoarthritis — affects < 5 joints but not on both sides of the body at the same time. Symmetric polyarthritis — affects > 5 joints on both sides of the body (ie, the right and left knee), similar to rheumatoid arthritis. 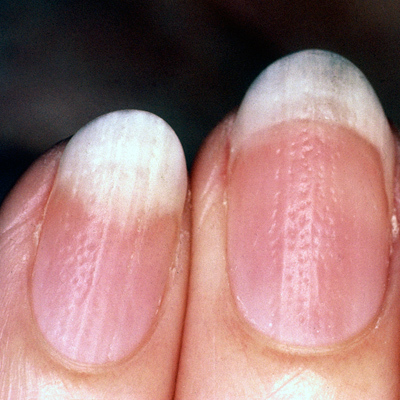 Arthritis mutilans — destroys joints, and often shortens fingers and toes. Spondyloarthropathy — affects joints of the spine. 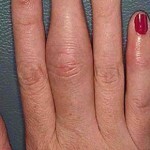 The swelling in the areas where tendons attach to bones is called enthesitis and is common in psoriatic arthritis. Those areas are: Achilles tendon at the back of the heel, plantar fascia (the sole of the foot), and the area that tendons attach to the pelvic bones. Tenosynovitis occurs when the sheaths surrounding tendons (hands and arms) become swollen and painful. 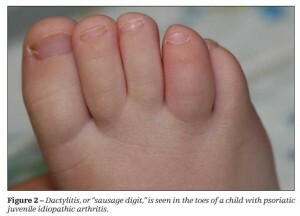 Dactylitis occurs when the whole finger or toe swell (so called sausage finger). Sometimes patients develop inflammation of the eyes. There is no specific blood test that can make a diagnosis of psoriatic arthritis. Often, the diagnosis is made based on the history, physical examination and the XRs. The medications most commonly used for the treatment of psoriatic arthritis are NSAIDs, methotrexate, steroid injections, sulfasalazine, leflunomide, anti-TNF inhibitors (biologics) and cyclosporine. Exercise, and physical therapy are important to relieve the pain and stiffness associated with psoriatic arthritis. Weight loss of >10-15% of body weight in overweight patients can improve symptoms. A combination of exercise and weight loss may also decrease the chance of developing diabetes and prevent early heart attack. 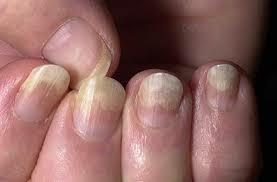 Dactylitis is inflammation of a finger or toe and is derived from the Greek word dactylos meaning finger. 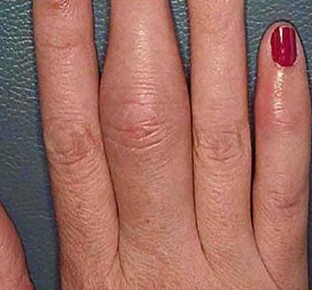 The affected fingers or toes swell up into a sausage shape and can become painful. Enthesitis is inflammation of the entheses, the sites where tendons or ligaments insert into the bone. 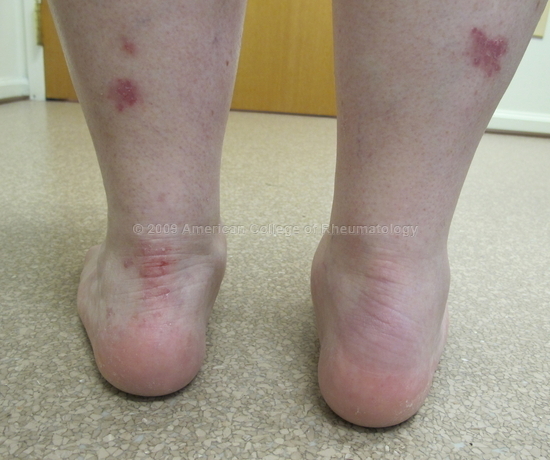 The most common enthesitis is the Achilles tendonitis (on the pictures below).